This is going to be my awards page where I will list the awards I have received. I will also be adding links to other honourable mentions, such as ‘Blogger of the Week’ and so on. Update: As of June 2013 I shall no longer be accepting awards. Congratulations! 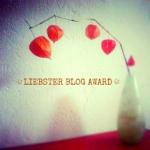 I have nominated you for the WordPress Family Award! To learn more: http://darsword.wordpress.com/2013/09/10/1306/ You and your blog are an inspiration to me. Thank you so very much. I feel very honoured. You are so very kind. You’re words mean a lot. Thanks a lot Kevin, my friend. I really appreciate that.